Two years heretofore, this nation lost a man. A man who was just as ordinary but chose to be an uncommon man – for he felt, that this was his right. He was a lawyer and a statesman. More than that, however, he cherished a place that was vastly more sacred and noble in form: in the hearts of commoners. He was their hero. He was a selfless defender and guardian, of the law and righteousness, a friend, to the marginalised and oppressed. A towering beacon of hope he was, for those whom the roots of injustice had imperiled. He was Karpal Singh – the people’s lawyer. Karpal was an indefatigable and gallant defender of the Rule of Law and the Malaysian Constitution. He fought both – in the causes he believed in and the causes of the people at large, fierily without any fear or favour. And the price for this – came hefty in form of detrimental consequences to Karpal and his family. In 1987, he was detained without trial for two years under the Internal Security Act (ISA) during Ops Lalang. His family was unsure each long day that passed, if there was to be food on the table the next, as Karpal was the sole breadwinner of the family. They lived, dashed with uncertainty, about the fate that was to be. 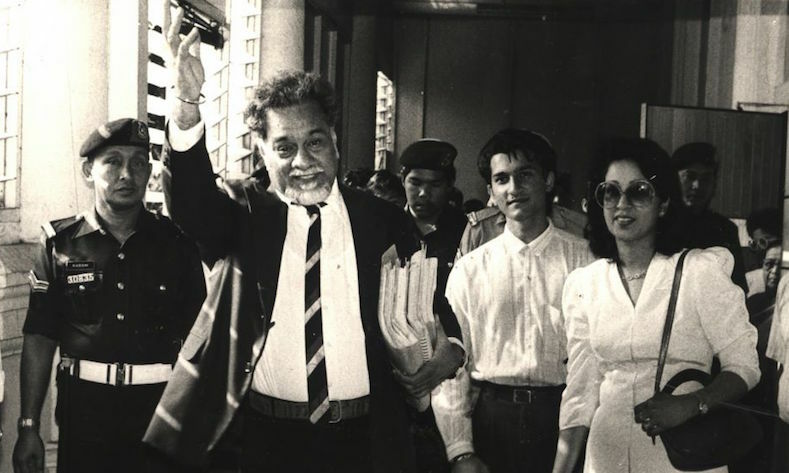 Upon his release from detention in 1989, many had expected a dispirited and crestfallen Karpal to trudge through the overshadowing gates of the Kamunting Detention Camp. Some had even gone to the extent of predicting that he would withdraw from the political arena completely. A detention without trial under the ISA was harsh and unforgiving. Detainees were subject to vile and iniquitous treatment. What more when: his detention stretched over a period of two years. However, what came, was instead a man who marched valiantly through those very gates; enraged and even more determined, to set proper the course of justice that had been misdirected and trampled upon. This was what inspired people the most about Karpal. His warrior-spirit. Despite the impossible odds that may be, he was one to ever see pass them with ultimate optimism. He was not a lawyer who won every case that he took on. He, too, had his fair share of losses. What was admirable about Karpal was the fact that every case he fought, he fought with diligence and courage. He gave every legal challenge he mounted, an equal and unqualified share of his utmost best. No case was paid less attention to or given less priority. If he lost a case, it would be with dignity. His clients, too, knew this well. Lionhearted, Karpal was. A man so true to what he believed in, that no possible form of affliction, persecution or injustice, could ever cause him to be untrue to what he held on to and triumphed so dearly. In his words: “They can lock me up, they can do whatever they want to me. But I know that I’ll be in there with my integrity intact.” He represented a fearless source of unfettering inspiration to all. 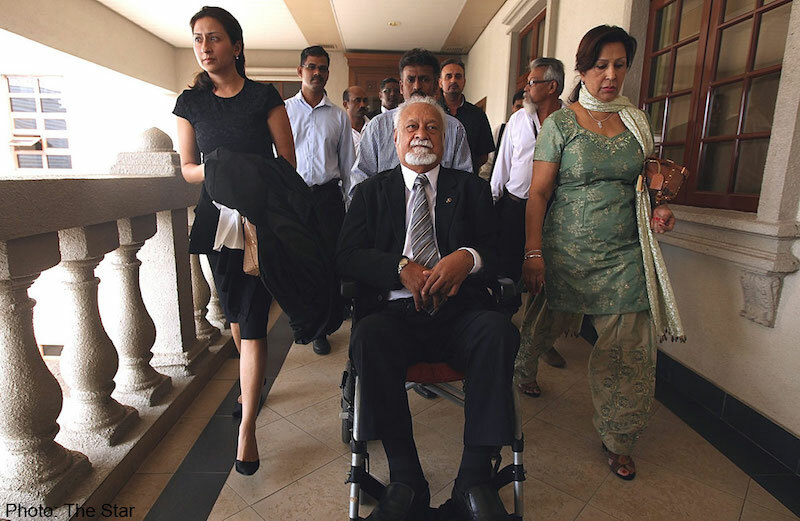 What led Karpal to command the respect of the legal fraternity and his political opponents was his independence and forthrightness in giving legal interpretations truthfully, as they stand. This was the case several different times even when it failed to favour Karpal or his political standing. He remained steadfast to his principles in upholding the Rule of Law. Many of Karpal’s cases were also taken on a pro bono basis. He refused to accept payment or legal fees. This was especially such when a client had been a victim of manifest injustice. As he said to Anwar Ibrahim when the family attempted to pay him for his legal services rendered: “How could I accept payment from you Anwar!? You’ve been a victim of injustice. You fought them and they’re persecuting you! Don’t talk to me about money again. I’m a man with dignity”. The news of his passing in the wee hours of 17th April 2014 shook the nation. The people lost their hero. Their defender, their guardian, their inspiration, gone forever. Many were unaccepting at first, suspicious of a hoax as similar messages and news had also circulated several times before. But as the hours went-by, it was confirmed. The Tiger of Jelutong had passed on. A three-day wake was held at Karpal’s home in Penang. People, citizens from all walks of life, in the hundreds of thousands, thronged to pay their last respects to their hero, on his final journey. Men and women, of all races, age, creed and colour, stood by his coffin, teary-eyed and some even crying uncontrollably, as they bid the people’s lawyer, farewell. This just stood to show lucidly the place he enjoyed and held in the hearts of the ordinary men and women of this nation. It is said that there will never again be another like Karpal Singh – at least for a long time to come. However, I beg to differ. We are all Karpal. We should all aspire in his aspirations for justice, integrity and freedom and bring effect to these notions. We are change. Live his dream and walk in his shadow. He taught us exactly on how not to fear the government and for that is what we must do. Let us not disappoint in what Karpal devoted his life to. Even in his passing, he remains a beacon of hope and a tower of inspiration shadowing over us. Reminding us, that even an ordinary man can make extraordinary changes, if he wishes to. Thank you Mr. Karpal, for all that you had dedicated unwaveringly to this nation, its people and its defining fundamentals. You were a true Malaysian. Failure to respond may give doubt to what he said in his comments dated 10.7.16. Dear Harjit Singh. Thanks for the question. Perhaps you can do us the favour of getting into the bottom of your query. Karpal Singh is a legend amongst all Malaysians, regardless of race or religion. He had extended his services and counsel to all without looking at the colour of the person’s skin or his religion. There could be nothing nobler than a life along those values. Looks like no one is able or willing to respond to Harijit Singh’s question and this failure may give rise to perception that the late Karpal did not have any contribution to betterment of Punjabis and Sikhism. Hopefully his children who are now elected representatives at Federal/State level should now take the initiative and collect/provide some evidence of contributions to the Punjabi community of their late father Karpal Singh. Some one in authority should respond to Harijit Singh’s question as failure to do so may give rise to perception that the late Karpal did not have any contribtion to betterment of Punjabis and Sikhism. Will some one respond please as I lost touch with him after he became involved in politics and bacame an MP and thus I am in no position to add to what I said earlier? Good achievement of the late Karpal Singh. What has he done for the Sikh development and the betterment of Malaysian Punjabis per se? In short ‘Apakah sumbangananda kepada Bangsa dan Agama? Kirpal was a humble man and had a humble beginning. If memory serves me right he started his own legal firm in 1970 in Alor Star, Kedah and yet could afford only to rent a room for which he paid a monthly rent of RM35.00 to the main tenant [which is me] as I being a bachelor did not need a three room house in United Park in then Jalan Day near the AS General Hospital and he also being a bachelor did not need a house. Every evening we would sit outside the house and discuss various matters of the day. My memory of his was of a very friendly and humble person though he had strong views on current matters while I had strong view on the management of public funds due to my position as an Audit Examiner in the State Audit Office and based in the State Treasury when Dato Khir was the State Financial Officer and he had an assistant the late Harjit Singh who was also the owner of the house I rented. May he rest in the Feet of Wahe Guru Ji.